Extraordinary race results are the outcome of comprehensive, systematic training. 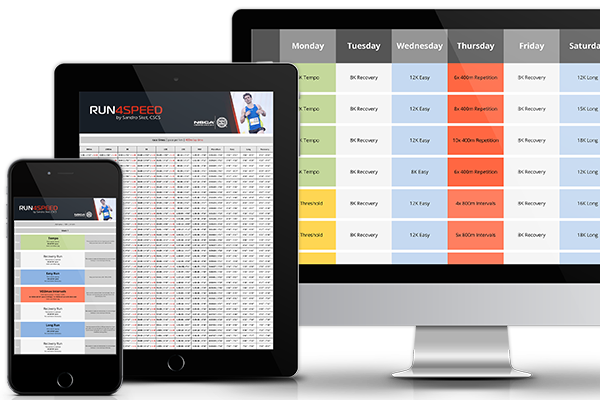 Run faster than you thought possible with the 4SPEED™ Method that maximizes your general endurance, lactate threshold, VO2max, and neuromuscular power through funnel periodization within 8 - 16 weeks. Train more effectively (and efficiently) to achieve faster race results. Funnel periodization – a modern training method used by many professionals. It preconditions your speed and endurance early in the training cycle so that you can reach a higher VO2max and lactate threshold in the subsequent focus block and eventually run a faster race pace. 1. Foundation - This is the base + speed phase which is characterized by extreme polarization. 2. Pre-Competition - This is the fitness phase with a focus on VO2max and lactate threshold. 3. 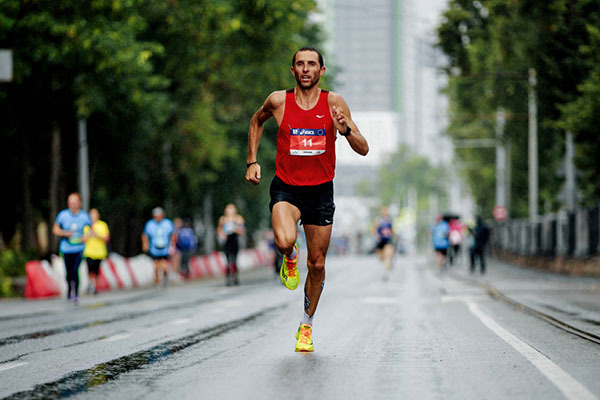 Race-Specific - This is the sharpening phase where your race-fitness is brought to a peak. Hi! I'm Coach Sandro Sket, NSCA-Certified Strength & Conditioning Specialist, masters athlete, and coach to competitive distance runners. I'm dedicated to the performance side of running, developing training plans that lead to faster race results. Do you prefer an individualized plan?